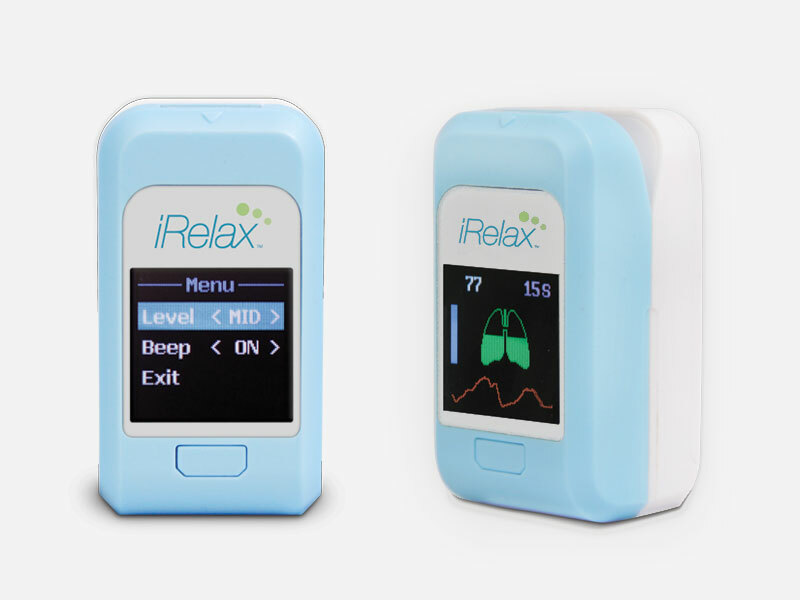 Our engineers designed the iRelax to help patients struggling with stress on a daily basis. To operate, place your index finger or middle finger into the rubber clip and watch as the screen illuminates. As the lungs on the screen fill up, inhale slowly. As your lungs deflate, slowly exhale, releasing all your stale air, and feel your heart rate start to decrease. This lightweight and easy to use device combines breath guidance training with heart rate variability biofeedback technology for a calming and helpful solution to the physical and mental demands of your daily life. 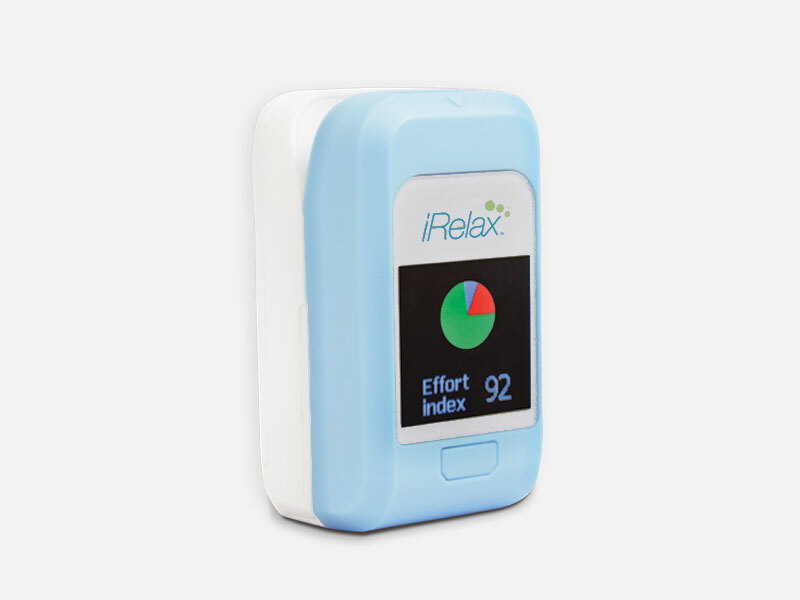 The iRelax is similar to the size of a fingertip pulse oximeter, which makes it easily portable and available for use whenever you need a moment during the day to take a quick break and relax. As you begin using the device and start to train your breathing, the device will score each session and helps you improve your skills each time you use it. Use the iRelax anywhere for stress management, to improve your concentration, to ease insomnia and much more. Buy iRelax Stress Management Device Now! When you are stressed, your breathing increases which, in turn, increases your heart rate. The iRelax trains you to be in control of your breathing and that can significantly aid in stress reduction. Instead of going into a fight or flight response during extreme stress, the iRelax gives you back control by guiding you through breathing exercises to reduce your stress level and avoid that surge of adrenaline that is responsible for your body’s physical reaction to stress. Proper sleep can do wonders for your mood and overall well being. Without it, stress can be magnified. The iRelax helps you to control your breathing which can slow your heart rate and promote muscle relaxation, two things that can help you get the good night’s sleep you deserve.